Congenital Hypothyroidism | Crank It! The following is an article on congenital hypothyroidism, written by Dr. John Dallas, a member of The Thyroid Society’s Medical Advisory Board. The Medical Advisory Board helps develop educational materials; contributes to our newsletter, The Thyroid Connection; evaluates research proposals; and speaks to the public about thyroid disease. John S. Dallas, M.D. is a practicing pediatric endocrinologist and Associate Professor at the University of Texas Medical Branch – Galveston. His research interests include thyroid function in premature infants and autoimmune thyroid disorders and antibodies to the TSH receptor. Dr. Dallas is a member of the American Thyroid Association and The Society for Pediatric Research and the Medical Advisory Board of The Thyroid Society for Education & Research. The thyroid gland system, which consists of the thyroid gland and two specialized brain centers known as the hypothalamus and pituitary, forms and almost completely matures while a baby is developing in the uterus. Early in the first trimester of pregnancy, embryonic tissues located at the base of the developing baby’s tongue grow into a bi-lobed thyroid gland that resembles a butterfly in its shape. 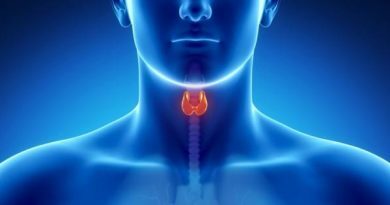 Through a process referred to as “differential migration”, the thyroid gland “descends” from the base of the tongue to its final destination just below the thyroid cartilage (i.e., Adam’s Apple) in the front of the neck. By the end of the first trimester, the thyroid gland is not only located in its normal location in the neck, but it is also capable of collecting iodine and other raw materials from the fetal circulation for the production of thyroid hormone. During the time that the thyroid gland develops, the hypothalamus and pituitary also develop. Early in the second trimester, the hypothalamus specifically begins to signal the pituitary to produce and release a messenger hormone known as thyroid-stimulating hormone (TSH) into the fetal blood stream. Through the second trimester, TSH levels rise in the fetal blood, and, as a result, stimulate the thyroid gland to grow properly and to begin to produce thyroid hormone. In a manner that resembles an assembly line process, thyroid gland cells take iodine and other raw materials (e.g., amino acids) from the fetal blood stream and convert them, through a series of enzymatic reaction steps, into thyroid hormone. Thyroid hormone is made as part of a very large protein called thyroglobulin which is stored inside the thyroid gland. Through another series of enzymatic reaction steps, thyroid hormone is cut from the large thyroglobulin molecule and released into the blood stream. Through the second and the third trimesters, the complex mechanisms that regulate the hormonal interactions between the hypothalamus, pituitary, and thyroid gland gradually mature. As these mechanisms mature, the thyroid gland system becomes more and more finely tuned to produce and release just the right amounts of thyroid hormone into the developing baby’s blood stream. By the time the baby reaches full term, the thyroid gland system is entirely functional and ready to provide all the newborn baby’s requirements for thyroid hormone. The continuous maintenance of proper thyroid hormone levels from the newborn period through childhood is absolutely essential for normal postnatal physical growth and brain development. If any portion of the developing baby’s thyroid gland system fails to either form or function correctly, then he/she may become hypothyroid. Hypothyroidism that is present from birth is referred to as congenital hypothyroidism (CH). In North America, CH occurs in about 1 in 4000 live-born babies. The majority (over 90%) of affected babies in North America have a permanent, life-long type of CH. In these babies, delayed diagnosis (i.e., beyond 2 to 3 months of age) or improper treatment of hypothyroidism can lead to growth failure and/or irreversible mental retardation. On the other hand, diagnosis and initiation of appropriate thyroid hormone treatment within about the first 4 weeks of life, followed by regular clinic visits with physicians experienced in the treatment of CH, can prevent mental retardation and growth failure. Abnormalities of formation, migration, and growth of the thyroid gland (referred to as thyroid dysgenesis).In this category, the thyroid gland is either absent, markedly under-developed, or not in its proper location. About 80-85% of babies with CH fall into this category. The exact cause of these disorders remains unknown. They occur sporadically, which means they are not inherited disorders. In addition, there is no evidence right now to suggest that either parent did, or failed to do, something to cause the CH to occur. The likelihood of two parents having more than one baby affected with this type of CH is only slightly higher than the original 1 in 4000 chance. Abnormalities of enzymatic reaction steps involved in thyroid hormone production or release (referred to as thyroid dyshormonogenesis).In this category, there is either a deficiency of or an abnormality in one of the many enzymatic reaction steps involved in thyroid hormone production or release. About 10-15% of babies with CH fall into this category. The majority of these conditions are inherited as autosomal recessive disorders. This means that the affected child inherited the genes for CH from both the mother and the father. Therefore, the chance that CH will occur again in the family remains at 1 in 4 for each and every child born. Abnormalities of the formation or function of the hypothalamus and/or pituitary (referred to as central hypothyroidism).In this category, the thyroid gland forms and descends properly, but the messenger hormone TSH is either not produced or released properly from the pituitary gland. As a result, the thyroid gland does not receive the TSH signal that is required for the normal production and release of thyroid hormone. Less than 5% of babies with CH are in this category. There are a variety of very uncommon medical conditions associated with central hypothyroidism. Some of these occur sporadically, while some are inherited disorders. In addition, TSH deficiency can occur either by itself or in association with other pituitary gland hormone deficiencies or brain abnormalities. In addition to permanent forms of CH, temporary, or transient, forms of CH are also encountered. In North America, about 10% of babies diagnosed with CH have a transient form; these are usually caused by substances (e.g., thyroid antibodies and medications) that have traveled from the mother’s bloodstream across the placenta into the developing baby’s blood. Once in the baby’s bloodstream, these substances then travel to the baby’s thyroid gland where they block the production of thyroid hormone. Often the mother of an affected child was receiving treatment for Graves’ hyperthyroidism during pregnancy, or she has a history of a thyroid disease. Much less commonly, transient hypothyroidism may occur in babies that are exposed to iodine-containing substances (e.g. x-ray dyes and certain skin cleansers) either at or soon after birth. The transient forms of CH vary in their duration and may persist for several days to several months. Fortunately, all babies in North America are screened soon after birth for CH. The screening test for CH is usually combined with screening tests for other metabolic conditions, such as phenylketonuria (PKU) and galactosemia. In North America, the primary screening test for CH is the measurement of the thyroid hormone, T4, from a blood spot sample. The screening test programs for CH are very effective, and they identify virtually all children with CH. It is important to realize, however, that screening tests themselves are not considered to be sufficient enough to make a formal diagnosis of CH. Therefore, any infant found to have a positive screening test for CH (i.e., a low T4 level) should be thoroughly evaluated by a physician experienced in the management of CH to determine if he/she indeed has CH. Due to the success of the screening programs, the vast majority of infants with CH can be evaluated medically before they reach 4 weeks of age. The evaluation should include a complete history and physical examination, along with blood studies for laboratory measurement of the baby’s thyroid hormone (T4 and free T4) and TSH levels. In addition, the physician may also obtain either a thyroid scan or neck ultrasound on the baby to look for the presence of thyroid tissue. Once the diagnosis of CH is confirmed, age-appropriate doses of thyroid hormone should be promptly started. 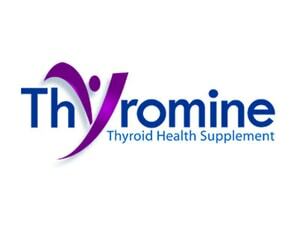 It is very important that infants and children receive the correct dose of thyroid hormone on a daily basis. After starting thyroid hormone therapy, the child should be monitored on a regular basis to ensure that the thyroid hormone treatment is resulting in normal blood thyroid hormone and TSH levels. Through proper monitoring and appropriate adjustments of thyroid hormone therapy, growth failure and mental retardation will be avoided, and the vast majority of children with CH will grow and develop normally.